A warm welcome from our conductors and sectional coaches! Our Symphonic Holidays are a unique and transformative experience and we look forward to sharing our passion for making music with you. The players amongst us are here to motivate and enable you to get as much from the music as possible. We are a team of professional musicians, many of us also teachers and be it during the tutti rehearsals or the sectionals, we are on hand to help resolve musical or technical issues and to give any individual player advice, so that you can get the best out of the orchestral experience. The conductors amongst us work with both professional and amateur orchestras and we enjoy bringing out the best in highly motivated and committed players. We bring our enthusiasm, expertise and experience to the holiday podium and are all available throughout the courses to talk about our - and your - vision of the pieces you are playing. 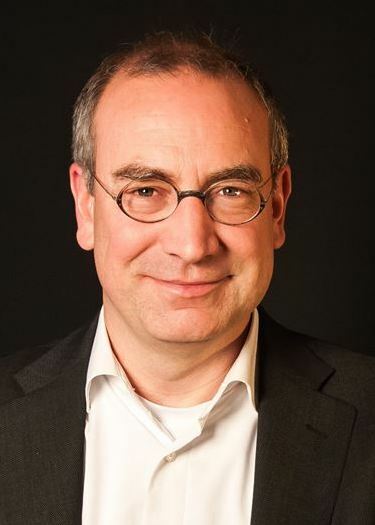 Jonas Hees had been organizing the traditional Sinfonietta Bardou in Southern France for many years when in 2016 he founded da capo orchestra & travel with the aim to develop and extend the concept of orchestral holidays and to open this experience up to a wider group of amateur musicians. He is also a lawyer for international businesses with a focus on Italy. 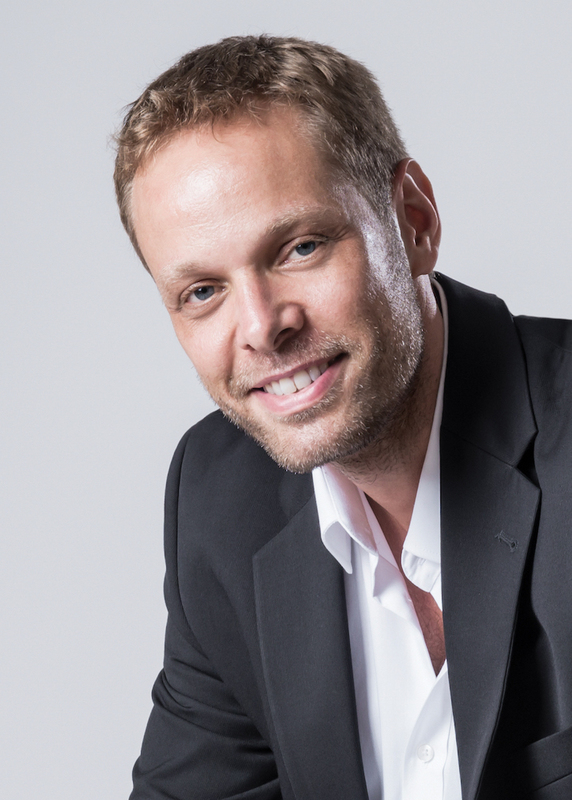 Jonas is responsible for the management of da capo orchestra & travel and its programmes’ choosing new destinations and arranging conductors and coaches for the various programs. Jonas takes care of operations at each destination and as an amateur cellist sometimes also takes part in the orchestra. As a passionate cook he particularly focuses on the best food for our Symphonic Holidays. Julian Gibbons lives in Basel / Switzerland, where he conducts the Sinfonieorchester Trirhenum which he founded in 2000. This has developed into one of the most innovative and well-respected amateur orchestras in Switzerland. He also works in the neighbouring Black Forest. He has been the conductor of the Symphonic Youth Wind Band of the Upper Rhine Wind Band Association since 1997. This high-standard youth wind orchestra draws its members from over 100 town bands of the association and tours internationally every two years. Julian is the founder and conductor of the BISYOC Intercultural Youth Orchestral Exchange, an international summer youth orchestra started in 2001. Julian was born in Bournemouth, England, in 1966, and started playing the French horn at the age of 10. While he was studying history at Durham, he became conductor of the St. John's College Orchestra. In 1989 he moved to Germany, where he studied the horn in Munich. He finished his studies under Professor Xiao-Ming-Han at the Basel Music Conservatory in Switzerland, graduating in 1995. He regularly attended conducting courses run by George Hurst at the Canford Summer School of Music in the UK as well as studying under Emilio Pomarico in Milan at the Scuola Civica di Musica. As well as his conducting, Julian has been teaching the Horn at the Bad Säckingen Music School for over 20 years and has established an international weekend for horn players in the Black Forest in Todtmoos. Originally from Fairbanks, Alaska and now based in Oxford / UK, Cayenna Ponchione in addition to her post as Associate Conductor of the Orchestra of St John’s, is the music director of the GrassRoots Festival Orchestra in New York, and works regularly with student, amateur and professional ensembles in the US and the UK, including the Oxford Philharmonic Orchestra, City of Southampton Orchestra, and the Kidlington Concert Brass. Cayenna holds masters degrees in orchestral conducting and in percussion performance and received her doctorate in music from the University of Oxford with a focus on authorship and creativity in orchestral performance. 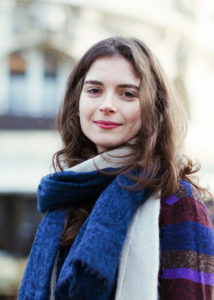 She is a Conducting Associate of the Oxford Conducting Institute and holds a Junior Research Fellowship at Somerville College, University of Oxford. Frédéric Tschumi, born in Morges / Switzerland, studied conducting with Nicolás Pasquet and Gunter Kahler and the violin with Ursula Dehler at the College of Music Franz Liszt in Weimar. During his studies, he already conducted several professional orchestras in Germany and Czech Republic. Frédéric already had a long history of conducting several amateur orchestras in Southern Germany when he was appointed in 2015 conductor of the Orchestra of the University of Leipzig and of the Europera Youth Orchestra. In 2016 he was guest conductor of the Landesjugendorchester of Saxony. For the season 2017 /2018 he was called to conduct Orchester’91, a leading amateur symphony orchestra in Hamburg. Frédéric joined our team in 2015 and for three seasons was the musical director of the Sinfonietta Bardou in summer. David Sofer is a conductor from Tel Aviv, with a focus on education and amateur orchestras in Israel. He completed his studies in conducting at the Buchmann-Mehta Academy of Music at Tel Aviv University. David also studied piano, double bass, orchestration and composition. David is the principal conductor of the Ben-Dorit Symphonic Orchestra and the Sharon Symphony Orchestra and he conducts three student orchestras (Technion Symphony, Reut Art School Symphony and the string orchestra of the Yuval Conservatory. He is invited as guest conductor at professional orchestras as the Haifa Symphony Orchestra, the Galilee Chamber Orchestra that unites Jewish and Arab musicians in Nazareth, the Raanana Symphonette and the Israel NK Orchestra. David has written music for dance in collaboration with choreographer Dana Rutenberg, and music programs for children with Dr. Idit Sulkin. 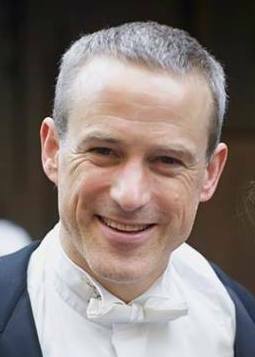 He teaches piano and conducting privately and is a chamber musician and coach. 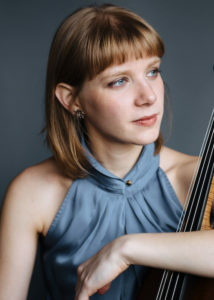 Constance Ricard was born in Paris and lives in Berlin, where she plays baroque and modern cello in a number chamber music and symphonic ensembles. She studied at the C.N.R. in Paris with Professor Marc Coppey and later at the Hochschule für Musik und Theater in Leipzig with Professor Peter Bruns. 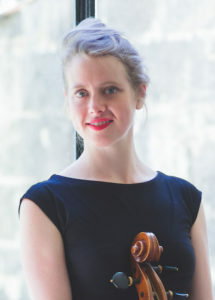 She also studied baroque cello with Balázs Máté and Jan Freiheit, graduating from the Universität der Künste in Berlin in 2017. Jaime González from Chile holds a professorship for oboe and chamber music at the College of Arts in Bern / Switzerland. Since 2000 he has been member of Ensemble Recherche in Freiburg / Germany, a leading chamber music ensemble for contemporary music. 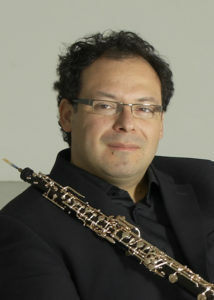 Jaime studied oboe in Freiburg and Karlsruhe / Germany with Hans Elhorst, Thomas Indermühle and Heinz Holliger and won several prizes in competitions in Italy and Germany. He makes chamber music and orchestra performances in Europe, Japan, China and North- and South America with a repertoire from early baroque until contemporary music. Jaime gives master classes around the world. Jaime will leave the Ensemble Recherche in October 2017, and after 17 years dedicated to contemporary music will now focus on the baroque oboe. After graduating from Salerno Conservatory, Donato Cuciniello joined La Scala’s Orchestra Academy in Milan. He then became a member of the San Carlo Theatre Orchestra in Naples, where he remained for four years. He was later chosen by Riccardo Muti to lead the second violins in his Orchestra Luigi Cherubini and has performed more than 50 concerts under Muti’s direction. Donato has been leader of the second violins in the Orchestra Sinfonica Siciliana of Palermo since 2007 and became Professor for violin at the Conservatorio F. Cilea of Reggio Calabria in 2010. Anna Litvinenko, American cellist of Cuban and Ukrainian heritage, has captured the attention of audiences in Europe and the Americas. From a young age, she gained recognition at competitions, giving solo recitals, and appearing as a soloist with orchestras like the Miami Symphony, the New World Symphony, and the Odessa Philharmonic. Anna completed her bachelor’s degree with Joel Krosnick at The Juilliard School, and is now finishing her post-graduate studies with Richard Lester at the Royal College of Music in London, where she is Rose Williams and a Jack Kent Cooke Foundation Graduate Scholar. She has drawn particular inspiration from her studies in Historical Performance, composition, and improvisation, and has found great satisfaction mentoring high school and college orchestras. Also, her work with the Wind-Up Penguin Theatre Company, performing and doing workshops with children refugees, has greatly impacted the way she sees her role as a musician. 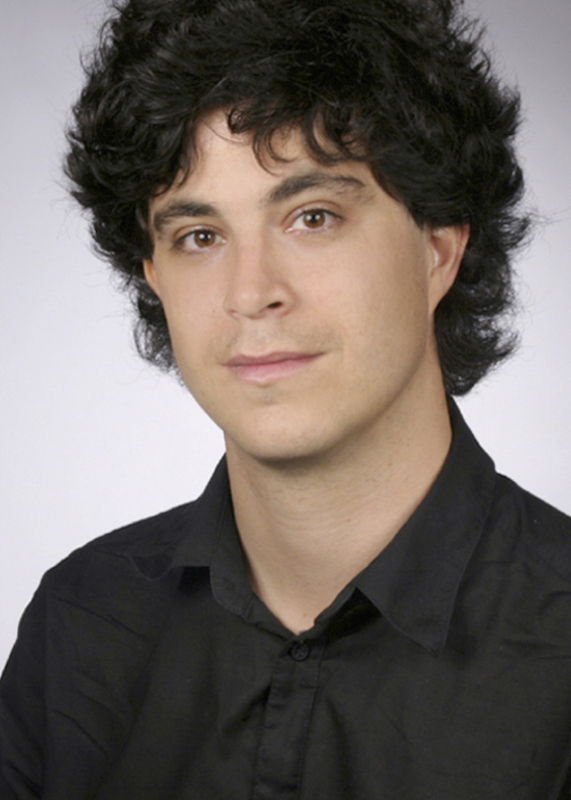 Violinist and composer Rodrigo Bauzá was born in Formosa (Argentina) in 1983 and lives in Berlin. He studied violin in Uruguay and Argentina and later in Germany with Mariana Sirbu at the College for Music and Theatre in Leipzig, where he graduated with honours both in classical and jazz violin. Rodrigo has been a member of the Gewandhaus Orchestra Leipzig, touring Europe, America and Asia with conductors such as Riccardo Chailly, Daniel Harding and Gustavo Dudamel. Since August 2014, he has been a member of the Rundfunk-Sinfonieorchester Berlin. In 2013, after several years on the traditional string quartet repertoire with Cuarteto Arriaga, Rodrigo founded the Cuareim Quartet, taking the string quartet out of its classical boundaries and playing original compositions and arrangements. While the focus of the four musicians is on contemporary jazz and improvised music, they eagerly embrace a wide variety of aesthetics and styles. 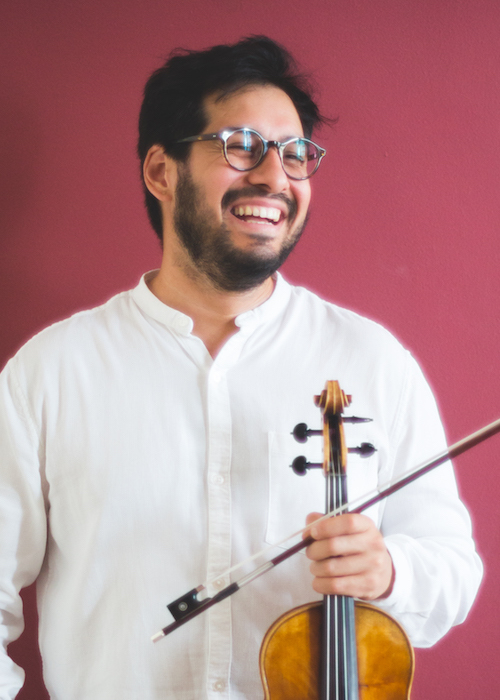 In 2017, Rodrigo composed four pieces for string quartet and orchestra, commissioned by the national orchestra for Argentinian music Juan de Dios Filiberto, which premiered the pieces with Cuareim Quartet in Buenos Aires. Rodrigo Bauzá has given master-classes in Mexico, Spain, Malaysia, Colombia and Argentina. He teaches violin privately in Berlin. Anna Göckel has been nominated Révélations Classiques 2016 de l'ADAMI, a French kind of Grammy award for the Newcomers of the Year, and in 2017 was presented on the radio in a programme Generation Young Interprets of France Music. In January 2018 in a cd-release concert in Paris at Salle Cortot she presented her interpretation of Bach’s Sonatas and Partitas. Anna, who was born in Marseille, studied the violin with Jean-Jacques Kantorow in Paris, and then travelled to work with Boris Belkin, David Grimal and the Ysaÿe Quartet. 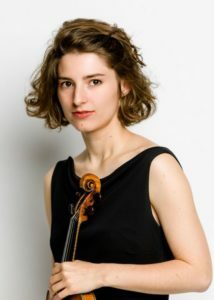 As a member of Trio Karénine in 2013 she was awarded at the ARD International Music Competition in Munich. This trio was then invited to perform Beethoven’s Triple Concerto with the Neue Westfalen Philharmonie. Anna is a member of the orchestra Les Dissonances, an international collective composed of international soloists, musicians from prestigious orchestras and young, playing without conductor. Anna had the opportunity to present herself also as a soloist with Les Dissonances, playing a Bach Double Concerto together with the founder and leader of the orchestra David Grimal. In a number of concerts over the last years Anna has established a constant collaboration with the orchestras of the Sorbonne University in Paris and the University of Strasburg. Here, she not only played various violin concertos, but also is a requested coach for the violin sections. Vincenzo Schembri, born in Palermo, studied viola at the Conservatory Vincenzo Bellini in Palermo and continued his studies with Bruno Giuranna at the Accademia Musicale 'Walter Stauffer' of Cremona and the Accademia Nazionale di S. Cecilia, and also with Jurij Bashmet at the Accademia Musicale Chigiana of Siena. 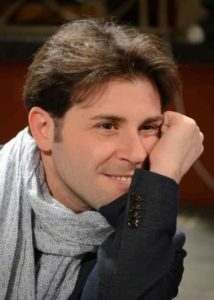 Vincenzo has played with the orchestras of Teatro Massimo Bellini in Catania and of Teatro dell' Opera in Rome. He has been principal viola of the Orchestra Sinfonica Siciliana in Palermo since 1996, where he has already performed several concerts as soloist. He is passionately engaged in chamber music and since 1998 has worked continually with the Orchestra da Camera Italiana directed by Maestro Salvatore Accardo. In 2003 Vincenzo founded Gliarchiensemble; a strings-only chamber ensemble which performs in major concert venues all over the world. In 2006 he studied orchestral conducting with Maestro Ennio Nicotra. Hande Küden, born 1992 in Adana / Turkey, since 2016 holds the position of assistant concertmaster at Deutsches Symphonie-Orchester Berlin. Previously she had been for two years member of the Orchestra Academy of the Berliner Philharmoniker. Starting from August 2019, Hande will be member of the Berliner Philharmoniker in the section of first violins. Hande had started her career in her hometown Adana at the State Conservatory and from 2012 – 2015 studied at the Music Academy Hans Eisler Berlin. 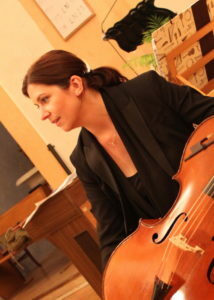 As soloist Hande played amongst others with the State Symphony Orchestras of Istanbul and Izmir. Previously a member of the Leipzig Gewandhaus Orchestra Academy, Julia Andreas now plays regularly with the Gewandhaus Orchestra as well as in the MDR Symphony Orchestra Leipzig. 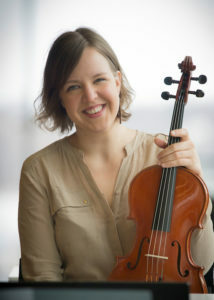 Julia studied the violin with Antje Weithaas and Ina Kertscher at the Hans Eisler College of Music in Berlin before continuing with her postgraduate studies in Weimar. She then went on to take her performance exam at the Gewandhaus in Leipzig. 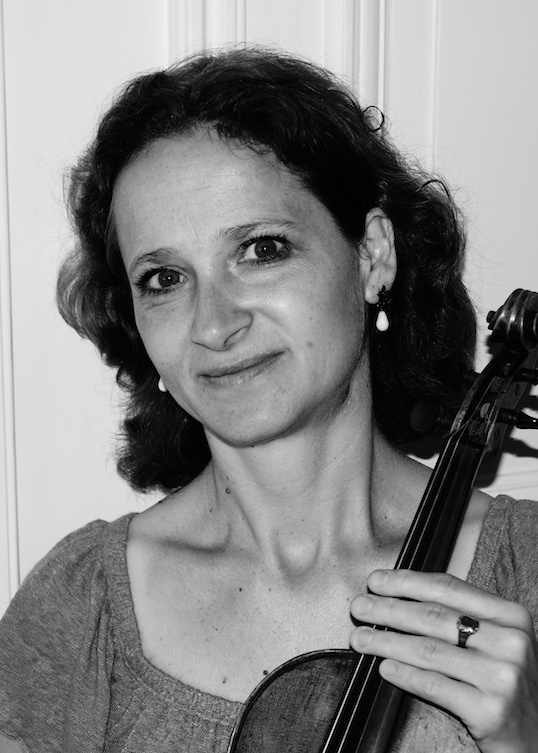 Alongside her activity as an orchestra musician, Julia plays with the ensemble Leipziger Salon and teaches violin to both children and adults at private music schools in and around Leipzig. The Finnish violist Eerika Pynnönen studied music and music education first in Helsinki and after finishing her Bachelor degree in Arts continued her studies in Paris with Fabienne Stadelmann and Bruno Pasquier. Eerika now is a freelance musician and works in orchestras in Finland, Sweden, France and Germany. She regularly plays with Baroque ensembles in Finland and has recently founded the chamber music group Ensemble Collectum in Leipzig. As coach and section leader at our Symphonic Holidays in Bardou since 2017, Eerika in her very joyful way has always been able to form very smart viola sections. Marine Rodallec from Marseille after her first degree from the Conservatory of Lyon, went on studying at the Conservatory of Perpignan where she obtained an Award of Excellence, and then at the Haute École de Musique of Geneva in the class of Daniel Grosgurin. Here, she finished with an awarded soloist diploma. Marine’s concert activities reflect her interest in both ancient and contemporary music. She performs with the baroque ensemble Café Zimmermann that takes its name from a famous establishment at the heart of 18th century Leipzig, where coffee amateurs and enlightened music lovers would meet while listening to the Collegium Musicum, conducted by Georg Philipp Telemann and Johann Sebastian Bach. Marine is also curious to find new means of expression in the music and as a member of the Ensemble C Barré performs contemporary repertoire. Besides her activities in chamber music, Marine collaborates with the Orchestre d’Avignon and the Orchestre Philharmonique du Pays d’Aix. Besides her long experience as a cello teacher at a music school in Marseille, Marine in teaching now focuses on bringing music to socially underprivileged children, in that also working with the DEMOS project organized by the French government. Since long she also shares her knowledge and experiences to the participants of the cello festival Violoncelles en Folie and the chamber workshop Stage de Chaillol. Adriano Ancarani has first studied cello and baroque cello at the Civica Scuola di Musica of Milan and in 1990 graduated at the Conservatory G.B. Martini of Bologna. Adriano has specialized in early music on original instruments, also performing with Ensemble Concerto Italiano and Accademia Bizantina di Ravenna on stages worldwide and for disc productions. Adriano since 2006 is artistic director and coach for string instruments of the John Cabot Chamber Orchestra, an orchestra that unites professional and amateur musicians in Rome. Since 2000 he teaches in Rome at the music school Sylvestro Ganassi where he also conducts and coordinates the string orchestra, and at the Civica Scuola delle Arti. 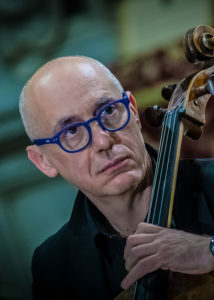 He is artistic director and teacher at the Campus Musicale in Collevecchio and has given master classes for cello, baroque cello and chamber music at the Campus Musicale Musica nel Parco in Lecco and at the Festival Federico Cesi in Trevi. Hélène has always loved to travel. Whether for family adventures in Yemen as a child, or musical ones around the world ever since. As a teenager, it was England that first attracted her, where she took part in many chamber music projects and courses, including the IMS festival in Prussia Cove, where she was instantly fascinated by the mysterious and beautiful Cornish countryside. It was here she met a large number of musicians who have greatly inspired her in her career. After a few years at the Paris Conservatoire in the class of Régis Pasquier, she went to Germany where she studied at the Hochschule für Musik in Munich, in the class of Mi-kyung Lee. She quickly discovered the Symphonieorchester des Bayerischen Rundfunks (Bavarian Radio Symphony Orchestra), where she played for four years, participating in many exciting projects, such as the recording Beethoven's symphonies under the direction of Mariss Jansons at Suntory Hall in Tokyo. At the same time, she benefitted from intense chamber music activity, in particular receiving coaching from Pamela Frank and Robert Mann at the IMAS quartet academy founded by Seiji Ozawa. Always attracted to working in small ensembles, Hélène then joined the Münchener Kammerorchester, (Munich Chamber Orchestra). This training enabled her to discover a whole new way of making music, through allowing close collaboration with many great guest artists. Now based in France, Helene works regularly with the Mahler Chamber Orchestra, as well as with Baroque ensembles Hofkapelle München and Arcangelo, and the Theatre of Augsburg, where she is regularly called to the post of violin solo. The i giardini ensemble offers her the opportunity to share her hidden passion for the viola, which she is always happy to practise! She is the founder of Les concerts à l'envie, concerts in the place, upside down and with envy.